Looking for bathroom remodeling services? When is it the right time to remodel your bathroom? Collaborating with Rooter-Man of Airway Heights, WA provides all the information needed to plan, budget, and meet your specifications. With one contact, all the components of the project are coordinated, implemented, and professionally guaranteed to your satisfaction! Before doing anything drastic, think about what you want to accomplish. Look at the space with a critical eye, and think about your motivation for remodeling as well. If you plan on staying in your residence for a considerable period of time, more than seven or eight years, for example, then remodeling is a great way of giving your home a value added lift. If you are thinking about remodeling in order to raise value for a sale, or you believe you could be moving relatively soon, perhaps a face-lift is called for rather than radical surgery. Contact us to arrange for professional sketches to better envision your new bathroom. Start researching. Visit showrooms, websites, and supply outlets. See what is offered, what you like, and what might be feasible for your project. Select a palette of colors, features, and other options to consider. A Airway Heights, WA Rooter-man expert will walk you through the details so you understand products, pricing, and benefits. We know product availability, lead times, delivery schedules. We have professional relationships with suppliers, manufacturers, and sub-contractors that might be needed to complete remodeling. If the tiles of your dreams are not available, we can show you alternatives that fulfill your vision for perfect results. We make sure the products you select in your Airway Heights, WA remodeling project are compatible and the total price of our estimate fits into your budget. Our technicians specialize in remodeling including plumbing, heating, installation and reconfiguration. We will provide an estimate, including a schedule for completing the remodeling, based on your wants, your budget, and our experience and expertise. When you are ready, we are too. 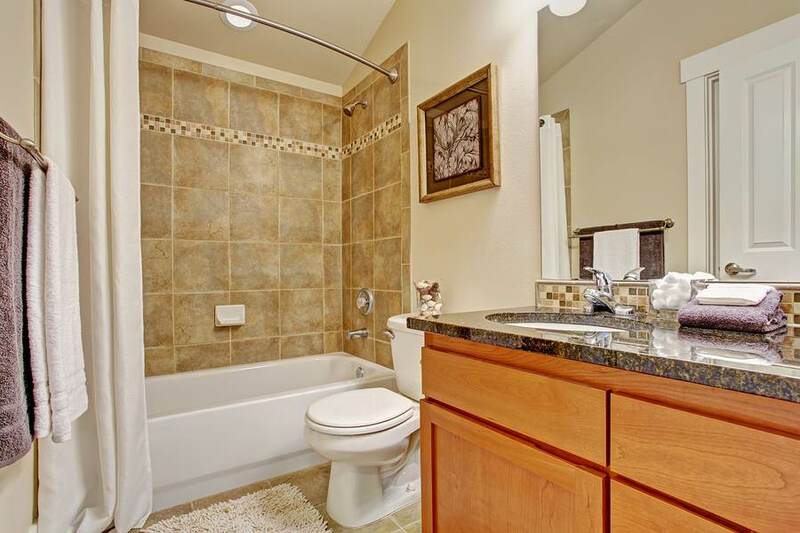 Rooter-Man has over 40+ years of bathroom remodeling experience in Airway Heights, WA. No matter how big or how small the job is, Rooter-Man can get it done.